Approximately one third of domestic heat is lost through a lack of Wall insulation. There are varying wall types such as: Cavity Walls, Timber Frame, Solid Stone, System Built, No Fines and more. In general, houses built from the 1990s onwards have wall insulation to keep the heat in. If your house is older than that it may not have any wall insulation. If this is the case then you may be heating the outside air, instead of just heating your home. Cavity wall insulation fills gaps often found between external walls in homes built after 1920, keeping the warmth in to save energy. It can also help reduce condensation inside the house if this is a problem stemming from your external walls. The insulation is blown into the cavity from the outside of a house. Every part of the wall must be filled with insulation, so it’s important that the installer can reach all your external walls. 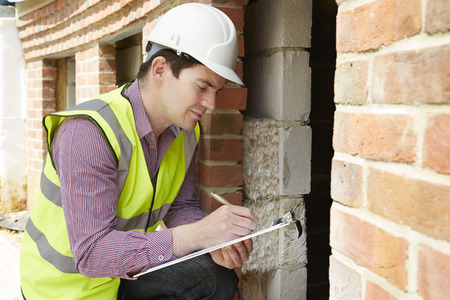 The installer would carry out a technical survey prior to any wall insulation installation. This is to ensure that each elevation is suitable for any proposed insulation. It will also ensure that you are made aware of what will happen during the install, how long it will take and when it will take place. If you are looking for someone to insulate your walls, you will find installers listed by the National Insulation Association. The Smith Emsley Partneship can also provide recommendations for local reputable installers.